Decorating a child’s bedroom is more fun now than it has ever been so when you are searching for just the right statement piece to pull it all together, we have a gorgeous pendant that is sure to fit the bill. Kids rooms no longer have to be a no-go zone when showing off your house, make them a feature instead. 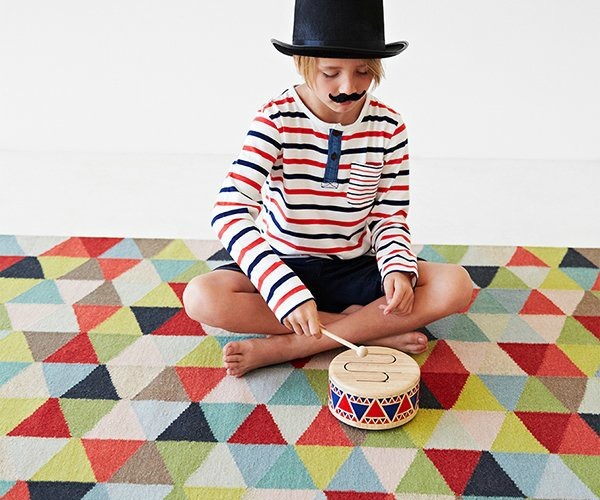 Lilly and Lolly is an Australian owned company which sources and creates only the most beautiful and functional pieces to inspire you to decorate your child’s bedroom in style. These gorgeous Finn Concrete Pendants ($99) are the ultimate in modern design; contrasting a simple shape made from concrete with the beautiful soft tones they have been painted in. 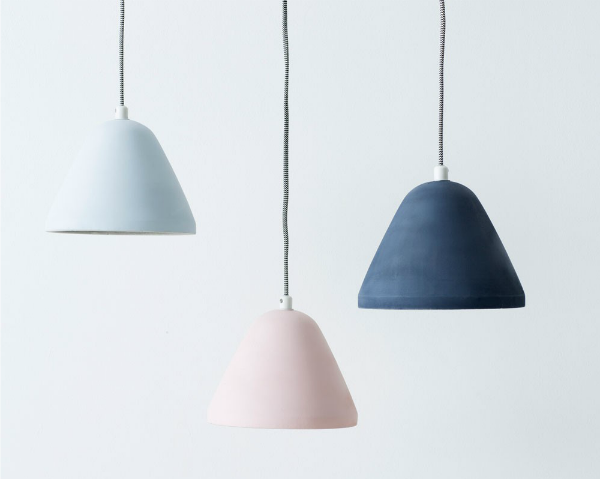 The interior of the pendant is raw, unpainted concrete and the exterior has been hand painted with a matt finish in either blush, mint and slate. Each one comes with a round, white powder coated ceiling rose for easy installation, is 19cm in diameter and 14cm tall. 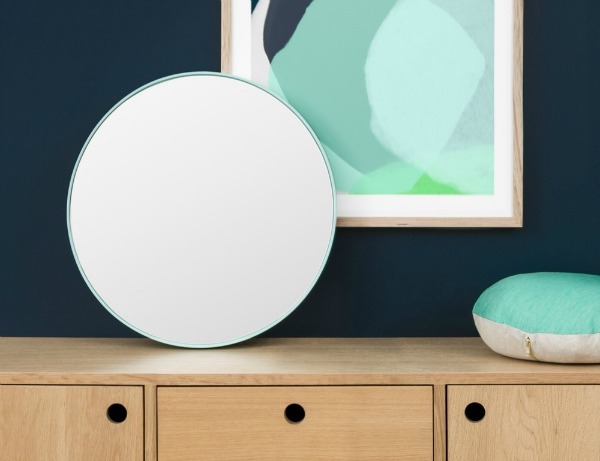 Some of the other Lilly and Lolly products catching our eye right now include the Finn mirror (above) for $165 which would accompany the above pendant beautifully, and the Armadillo & Co Jester Rug (below) for a fun and contrasting floor space ($660). We also love their bedding which is young and fun (without a duck or train in sight), and their craftsmanship designed furniture that is made to order. Browse through the full Lilly and Lolly range online. You can also visit them in store in Sydney and Melbourne or through one of a number of specially selected stockists throughout Australia. 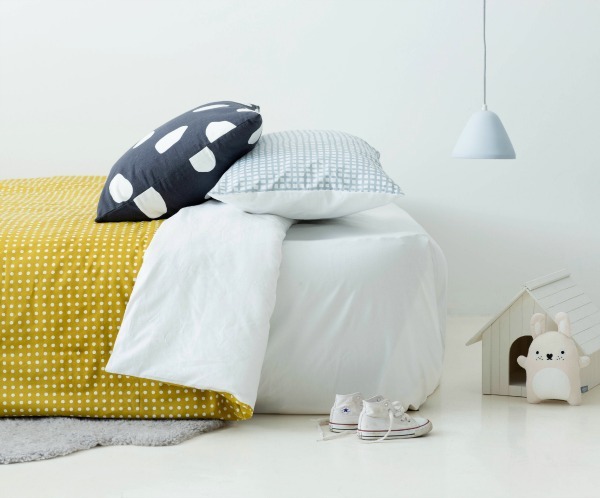 Lilly and Lolly is a Babyology favourite so check out some of their other products that we have featured recently like the Pinocchio Hat Stand and the Daffodil Day Bed.